Matt Edmundson emailed me awhile back relaying the story of what happened when he read and applied the principles laid out in my book Waist Disposal. His daughter, it turns out, used to call him ‘baggy belly’, but not anymore! After Escape the Diet Trap was released, Matt kindly asked to interview me about the book and other things including kids’ nutrition and the relationship between diet and skin health (among other things, Matt owns a skincare products company). The interview, which we did over Skype, is below. 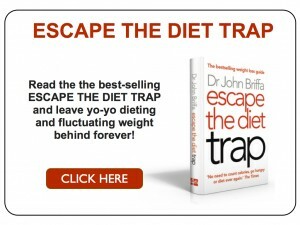 Dr John Briffa – How to Escape the Diet Trap Interview from Matt Edmundson on Vimeo. In the interview, it seems that one could infer that if one’s BP is not increased by a lot of salt, then one can safely eat all the salt they want. But doesn’t one need to be mindful of the potassium:sodium ratio, so that the potassium-sodium cellular pumping activity occurs normally? Anxiously awaiting the new books release in Canada. I was thrilled to see waist management and have had many male patients read it. Wheat belly recently by William Davis and “why we get fat” by Taubes, and Paleo Solution by Corbain are other reccomended books. As a GP for 30 years, and one that figured out (with difficulty and trial and error) 10 years ago how to shed 45 lbs from my belly permenantly by adopting a hunter/gatherer lifestyle, I was always being asked “how did you do it” by longstanding patients. Finally, there are now books out there I can reccomend to disbelieving patients who are addicted to their breakfast cereal, bagels, and sweets in general. 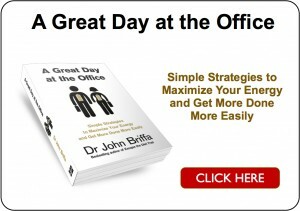 I appreciate your approach and writing style. You sound like me in my clinic! Now, if we can just get the other 95% if the MD’s to catch one, would that not be a thrill? I get my type II diabetics to do this home experiment: Measure AM FBG and 2 hr pc breakfast. First day: cereal or bagel. Next day: 2 eggs with ham or other protien. Then repeat and report back to me. The difference, in every case has been “diabetes, then a normal reading” Many are dumfounded. Some cry, or are angry, all are faced with some serious cognitive dissonance and many do change their habits to some degree in the end. In any case, thanks for your efforts! Also, doesn’t a high amount of sodium deplete magnesium in the body? I would say that once you take out all processed foods you have pretty much made a huge dent in sodium intake. Now that I do Paleo and autoimmune protocol and found other food sensitivities I don’t use spices much at all. I am slowly testing foods and I do use a little salt. The amount you would sprinkle on your food is so little to what is packed in processed foods I do not think it is that big of a deal.